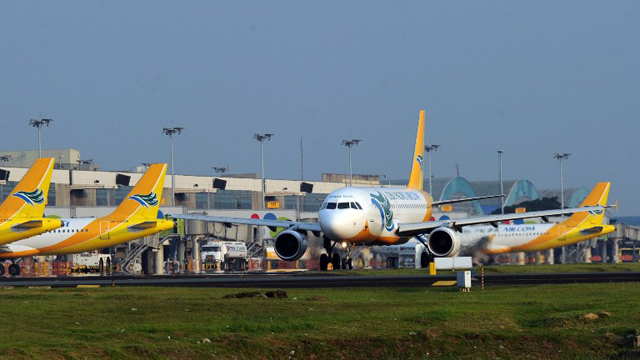 Aviation think tank CAPA, Centre for Aviation, said that Philippine low cost carrier Cebu Pacific (5J) is evaluating the acquisition of either Airbus 350 or Boeing 787 for its nonstop PH-US flights. Both the A350 and B787 are larger and long-range aircraft. According to CAPA Analysis, Cebu Pacific is now entering the next phase of its longhaul plan after the delivery of its seventh and eight A330-300 this December 12, 2016 and January 2017 respectively. These A330s are currently deployed primarily for its Middle East and Australia flights. This ‘next phase’ looks at larger planes with longer range. 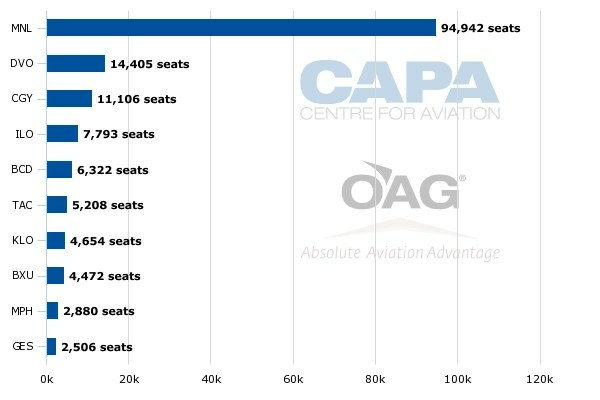 This makes the A350 and B787 the most ideal aircraft. By third quarter of 2017, 5J is set to offer formal invitations to both Airbus and Boeing. No official word or announcement yet from Cebu Pacific when the CAPA Analysis was released yesterday. Currently, national carrier Philippine Airlines has no competition in the lucrative direct PH-US trans-Pacific flights. The high-density seating configuration option for the ATR 72-600 aircraft has received its certification from the European Aviation Safety Agency (EASA). Using the existing airframe, the new high density configuration option is achieved by optimizing the pitch and adjusting forward cargo compartment, bringing the aircraft maximum capacity from 74 to 78 seats. ATR’s greater passenger capacity further enhances airline revenue potential. The option will also be available as a retrofit. 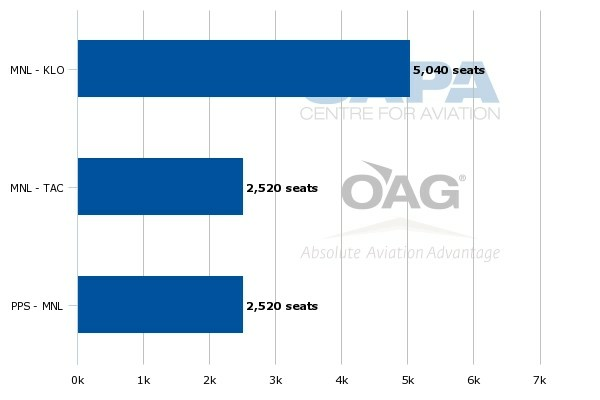 Cebgo was the first airline to choose the high-density seating, in a deal for sixteen new ATR 72-600s announced at the Paris Airshow earlier this year. The first aircraft in the 78-seat layout will enter commercial service in August 2016. 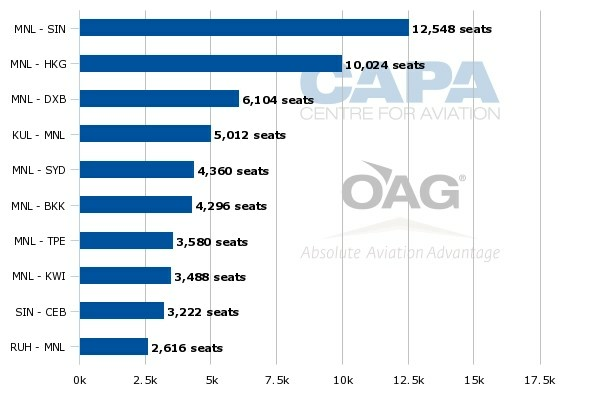 The additional seats are very valuable for airlines operating in the regions where traffic grows rapidly and the demand is highly sensitive to fare. Total liabilities: PHP56,992 million (USD1237 million). Cebu Pacific (CEB), flew 4.4 million passengers in the 3rd quarter of 2015, posting a growth of 10.6% over the same period last year. The airline carried a total of 13.7 million passengers from January to September, 2015, an increase of 9% year-on-year. Growth in passengers carried by the Cebu Pacific Air group from January to September, 2015 can be attributed to increase in capacity in key domestic and long haul routes. As of September 30, 2015, the CEB group operates 2,530 weekly flights in 62 destinations and 93 routes. We look forward to expanding our operations to even more domestic and international markets soon, says Atty. JR Mantaring, CEB officer-in-charge for corporate affairs. CEBs Q3 2015 total revenues surged 9% year-on-year to P12.8 billion. This brings our total revenues for the first 9 months of 2015 to P42.3 billion, a growth of 10% year-on-year. Passenger revenues increased by 5% to P9.3 billion. Ancillary revenues grew 26% to P2.6 billion driven by a 13% increase in ancillary revenue per passenger. Cargo revenues also posted an increase of 8% to P886 million as we carried 44.5 million kilos of cargo, up by 4.2% over the same period last year. CEBs 55-strong fleet is comprised of 8 Airbus A319, 33 Airbus A320, 6 Airbus A330, and 8 ATR 72-500 aircraft. It is one of the most modern aircraft fleets in the world. Between 2016 and 2021, CEB will take delivery of 5 more brand-new Airbus A320, 30 Airbus A321neo, and 16 ATR 72-600 aircraft. Philippine Airlines (PAL) is further expanding its international operation as it grows its fleet and improves utilization of its existing wide body aircraft. 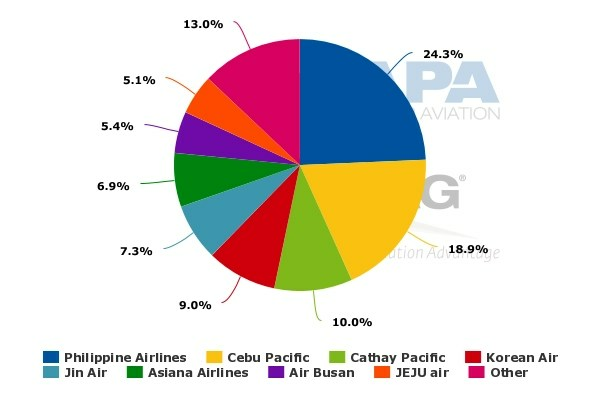 PAL’s international network will exceed 41 destinations in Jan-2016 compared to only 25 in Jan-2013. PAL is adding five international destinations over the next two months, including two destinations in the Middle East and three in Australasia. Long-haul growth will resume in Mar-2016 with the launch of services from Cebu to Los Angeles, which will be PAL’s first wide body international route from Cebu. Opportunities to further growth the long-haul operation will come in late 2016 as PAL adds two more 777-300ERs. 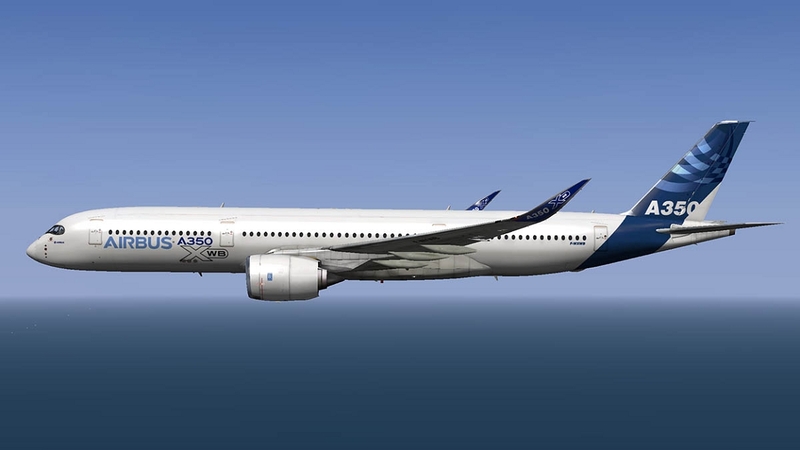 The expected acquisition of a new higher gross weight version of the A350-900 will be used to upgrade New York to non-stops in 2017 and potentially be deployed to upgrade Toronto to non-stop and launch a fourth US destination. 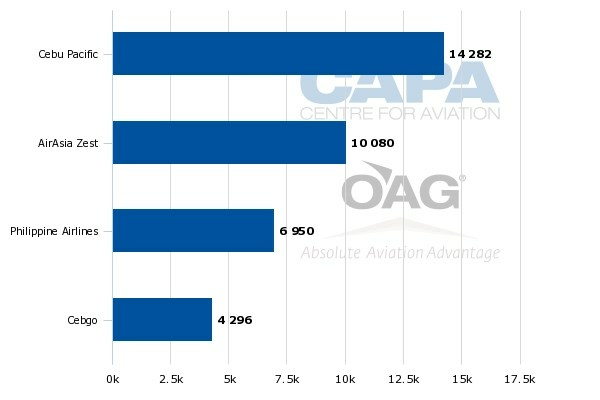 Southeast Asia’s aviation sector remains an extremely competitive market with a high risk of continued overcapacity given the region’s huge aircraft orders , according to Centre for Asia Pacific Aviation’s recent analysis. 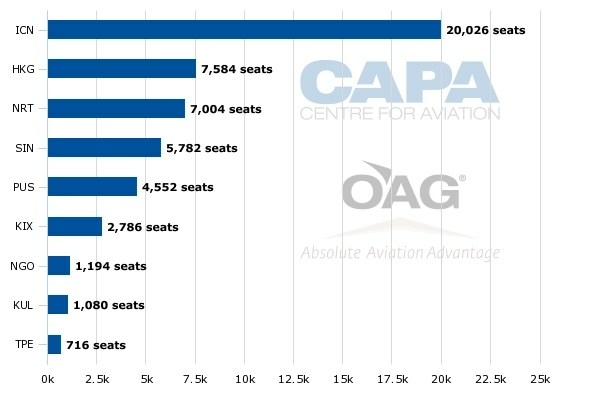 The centre said competition with and between LCCs will continue to intensify as LCCs account for over 70% of outstanding aircraft orders in Southeast Asia. 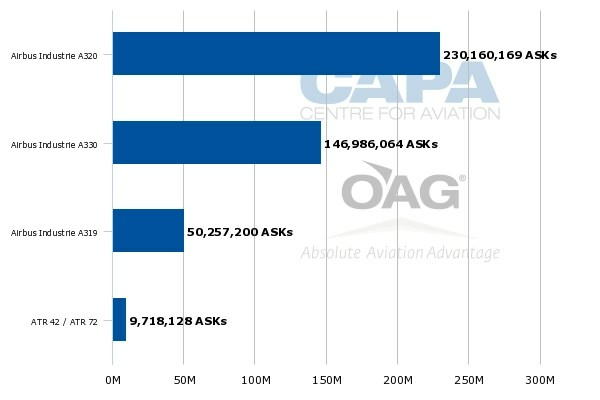 CAPA said the 16 publicly traded airlines in Southeast Asia, including affiliates or subsidiaries which report financial figures, turned a combined operating profit of about USD641 million in the first half of the year. The same group of airlines incurred over USD500 million in operating losses in the first half of last year, representing a year-over-year swing of over USD1.1 billion. 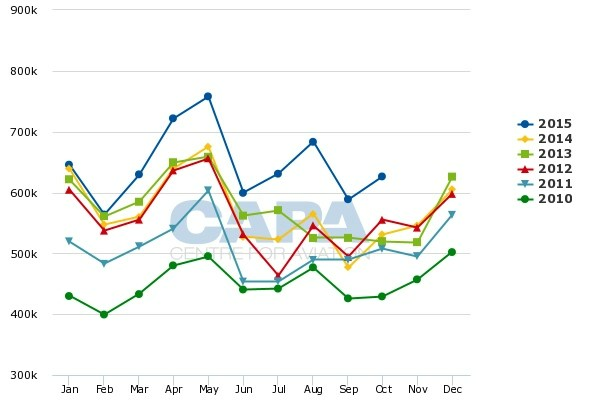 Of these 16 carriers, 15 saw their profitability improve in the first half of this year. The only exception was Indonesia AirAsia, which saw a slight increase in operating losses following the 28 December 2014 crash of one of its A320s. In 1H2014 only five carriers in this group of 16 were profitable. All five –Malaysia AirAsia, Cebu Pacific, Philippine Airlines, Bangkok Airways and SilkAir – were able to further growth operating profits in 1H2015. Of the 11 airlines that were unprofitable in 1H2014 five swung to profits in 1H2015 – Singapore Airlines, Thai Airways, Thai AirAsia, Garuda Indonesia and Citilink – and two posted break-even results – Nok Air and Tigerair Singapore. Three carriers were able to narrow their losses – SIA Cargo, Philippines AirAsia and Malaysia AirAsia X. Note: All figures are for six months ending 30 June 2015 and 30 June 2014. Conversions to USD are based on average conversion rates for 1H2015 and 1H2014. *All figures are for individual airline except for Cebu Pacific and Thai Airways, which only reports operating figures at the group level. Therefore in only these cases subsidiaries (Cebgo and Thai Smile) are not listed separately and are combined with their parent airlines. 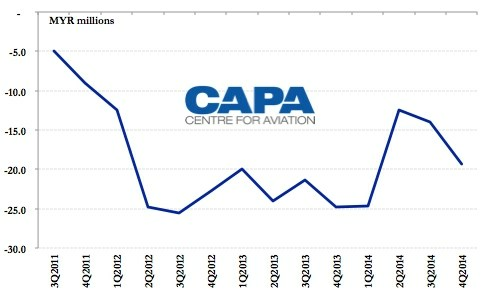 For full report visit http://centreforaviation.com/analysis/southeast-asian-airline-sector-returns-to-profitability-in-1h2015-but-long-term-challenges-remain-242947. Puerto Princesa Airport could experience major growth as the Philippine island of Palawan emerges as a popular tourism destination. AirAsia is particularly keen to pursue major growth in Palawan and use Puerto Princesa as an international hub. The small airport, which currently only handles domestic is flights and international charters, has been operating well above capacity. But a major expansion project is expected to be completed by early 2017, providing a new terminal and international facilities. Philippines AirAsia (PAA) plans to launch scheduled international flights from Puerto Princesa to China and potentially other international destinations including Malaysia. For now Philippine market leader Cebu Pacific has no plans for international operations at Puerto Princesa but could be swayed to relook at the market if PAA’s focus on Palawan proves successful. Caticlan, which a 10min ferry from the popular tourist island of Boracay, is currently the 14th largest airport in the Philippines based on current seat capacity. The rapid growth over the last several years in visitor numbers to Boracay has mainly been accommodated by Kalibo Airport, which is about 70km from Boracay and Caticlan. As CAPA highlighted in the first report, Kalibo is now the fourth largest airport in the Philippines after Manila, Cebu and Davao. Manila, Cebu and Davao are all major population centres while Kalibo and Puerto Princesa relies almost entirely on inbound traffic. Aklan province, where Kalibo and Boracay are located, reported 1.5 million visitor numbers in 2014 while Palawan province reported just under 1 million visitors. Palawan is positioned for potentially faster growth than Boracay and could eventually overtake Aklan as the second largest tourist region in the Philippines after Central Visayas. Central Visays, which includes Cebu and nearby islands, has about 3 million annual visitors. Boracay is already well developed and has become congested. Palawan is a much larger island is still largely undeveloped. The island is about 500km long (but very narrow) and has a population of less than 1 million. The Puerto Princesa Airport currently handles about 1.5 million annual passengers but was designed to accommodate only about 350,000 annual passengers. A major expansion project began in 2014 with the awarding of a USD83 million project to a Korean construction company. Construction began in late 2014 and is expected to be completed by early 2017. The project includes a new passenger terminal with capacity to handle 2 million annual passengers, a cargo terminal, apron, taxiways and new navigation equipment. The new terminal has been designed to handle regular international flights, which the Palawan tourism sector is keen to attract. The Philippine and Palawan governments expect the new airport to meet international standards and see the facility as a key component in a plan to attract more tourists to Palawan island. Philippines president Benigno Aquino III visited the airport and construction site on 29-Jun-2015, an indication of the importance the government has placed on developing an international airport to help support growth of Palawan’s promising tourism sector. In Mar-2015 the Palawan government along with AirAsia and other partners launched a tourism campaign to promote the island, which was voted in 2014 as the “best island in the world” by Conde Nast Traveller readers. The “World’s Best Island” campaign is designed to increase awareness among both domestic and international travellers and make Palawan more affordable through more seats, cheaper fares and new hotel packages. The campaign aims to double the number of visitors to Palawan in 2015 to 2 million. But such a goal seems unrealistic as seat capacity at Puerto Princesa has increased only slightly. AirAsia pledged as part of the campaign to add a fifth daily flight on the Manila-Puerto Princesa route but its schedule for Jul-2015 and the remainder of 2015 show it will maintain four daily frequencies. AirAsia has identified Puerto Princesa as one of two or three new international hubs that the group plans to open in the Philippines as PAA/AirAsia Zest restructures its network. The new business plan for the two carriers, which are expected to eventually transition to a single air operators’ certificate, focuses on developing under-served leisure destinations. As CAPA has previously highlighted, AirAsia’s Philippine operation has struggled financially since it was launched in 2012. But the group sees emerging leisure destinations in the Philippines such as Puerto Princesa as having huge opportunities for growth while staying under the radar screen of Cebu Pacific. Cebu Pacific for now is studying potential opportunities at Puerto Princesa but the typically conservative carrier is unlikely to make a move until the market becomes more mature. PAL is also unlikely to launch scheduled international flights at Puerto Princesa and instead stick to charters which have little or no risk as they are underwritten by agents in key source markets such as Taiwan. The AirAsia strategy for Puerto Princesa envisions launching several scheduled routes to mainland China. AirAsia plans to wait for the new international terminal and customs facility, which could potentially be completed by the beginning of the 2016 northern winter season. Shanghai would be a logical initial route for AirAsia’s new international hub at Puerto Princesa as PAA/AirAsia Zest already serve Shanghai from Kalibo and has been looking at resuming service to Shanghai from Manila. There are several other potential Chinese routes from Puerto Princesa as the AirAsia Group already serves 13 Chinese airports from its hubs in Thailand and/or Malaysia. AirAsia is keen to leverage its strong presence in the Chinese international market, where it is the leading LCC, by opening new routes to popular leisure destinations throughout Southeast Asia. AirAsia is already serving China from several secondary airports, including Krabi in Thailand and Kalibo in the Philippines, and is expected to add several more including Puerto Princesa over the next few years. The new AirAsia business plan for its Philippines operation also envisions the launch of flights to Japan, Singapore and Taiwan. But at least for now the focus is on launching flights to Taiwan from Manila and to Japan and Singapore from Cebu. PAA/AirAsia Zest currently operates 10 scheduled international routes, connecting three Philippine airports (Cebu, Kalibo, and Manila) with seven destinations – Busan, Hong Kong, Kuala Lumpur, Kota Kinabalu, Macau, Seoul and Shanghai. Seoul is served from all three bases while Busan and Shanghai are only currently served from Kalibo. Hong Kong, Kuala Lumpur and Macau are only served by PAA/Zest from Manila although sister carrier Malaysia AirAsia serves Cebu, Manila alternative airport Clark and Kalibo from Kuala Lumpur. PAA/Zest now serves Kota Kinabalu from both Cebu and Manila, having launched Cebu-Kota Kinabalu in late Mar-2015. PAA has stated it is interested in also serving Kota Kinbalu from Puerto Princesa. The two airports are only about 500km apart as Palawan is in the westernmost portion of the Philippines while Kota Kinabalu is located on the island of Borneo in eastern Malaysia. Previous attempts to connect Kota Kinabalu with Puerto Princesa have been short-lived. Most recently Malaysia Airlines regional subsidiary MASwings operated the route from Nov-2013 to Aug-2014. Philippine regional carrier SEAir also briefly served the route in late 2008 and early 2009. AirAsia has the advantage of leveraging strong sales channels in both Malaysia and the Philippines and marketing Kota Kinabalu-Puerto Princesa to foreign tourists that rely on AirAsia to hop around Asia. AirAsia also has a hub and transit product in Kota Kinabalu, which would provide passengers from several Southeast Asian cities (including Jakarta, Kuala Lumpur, Penang and Singapore) an opportunity to access Puerto Princesa without backtracking through congested Manila. A Puerto Princesa-Kota Kinabalu link could be used to target source markets for the emerging Palawan tourism sector in Southeast Asia while Puerto Princesa-Manila and potentially a new Puerto Princesa-Cebu service could be used to target source market in North Asia that do not get new direct flights from Puerto Princesa. But at this point it is hard to imagine sufficient demand for regular A320 service between Kota Kinabalu and Puerto Princesa given the challenges other carriers faced in filling up much smaller aircraft on this route. The Puerto Princesa market clearly has huge long-term potential as tourists from within the Philippines and abroad are attracted to Palawan’s unspoiled beaches, particularly as other Philippine holiday destinations such as Boracay become increasingly crowded. But there could be challenges in developing international routes after the Puerto Princesa Airport is upgraded. While AirAsia is extremely optimistic on the prospects for Palawan, other Philippine carriers are taking a more cautious wait and see type of approach. For example Cebu Pacific is now focusing on expanding international operations from other secondary airports in the Philippines although it will almost certainly make a move at Puerto Princesa in future if the market matures and it sees opportunities. Therefore AirAsia will likely be the litmus test when the Puerto Princesa Airport starts to handle scheduled international flights. A hub at Puerto Princesa could pay big dividends for AirAsia’s struggling Philippine joint venture and become a profitable niche. But it also represents a big gamble as AirAsia tries to turn around its Philippine operation. AirAsia has restructured its Philippine operation over the last year, making several network adjustments while cutting overall capacity and reducing the size of its Philippine-based fleet. Costs have been reduced and unit revenues have improved through a combination of load factor and yieldimprovements. But AirAsia still faces challenges in the Philippines market which will have to be overcome for its Philippine operation to become profitable on a sustainable basis and for IPO ambitions to become realistic. AirAsia is planning further expansion at Kalibo, a gateway for the popular tourist island ofBoracay where demand has been growing rapidly. The performance of its Kalibo operation could be impacted by the upcoming completion of a runway extension and airport upgrade project at Caticlan, a smaller airport which is much closer to Boracay. 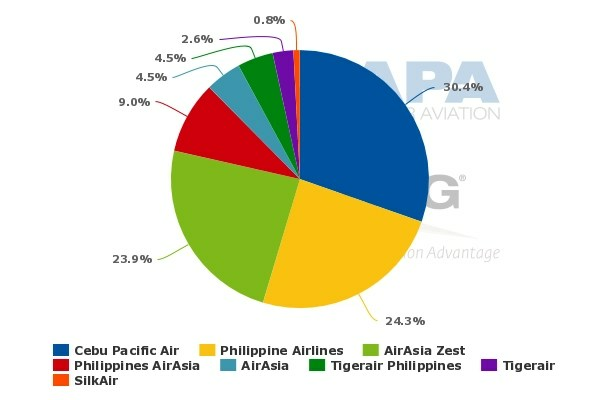 As CAPA highlighted in the last instalment in this series of reports, the AirAsia Group’s share of the Philippine domestic market dropped in 2014 to only 9.8%. 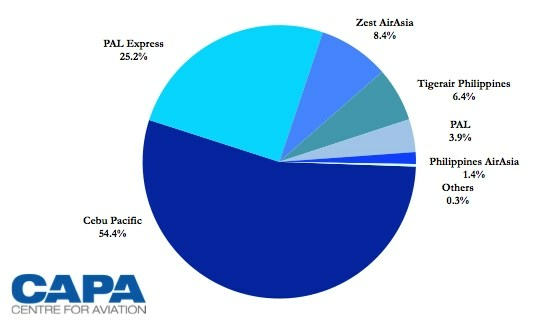 In addition to the 8.4% share for Zest this includes a 1.4% share for PAA. 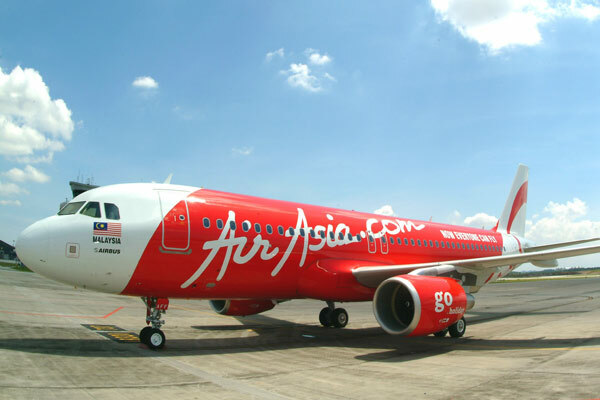 The AirAsia Group stated in its 4Q2014 results presentation that the group’s Philippine-based fleet will shrink to only 14 aircraft by the end of 2015. But capacity could increase as PAA and Zest have been improving aircraft utilisation rates, which had been below LCCnorms. Higher average utilisation rates are one of several initiatives identified by the group as part of an initiative to reduce unit costs. AirAsia will need to show its operation is profitable for the full year before any turnaround is deemed complete. The group’s Philippine affiliates have so far accrued losses totalling about MYR260 million (USD72 million based on the current exchange rate). 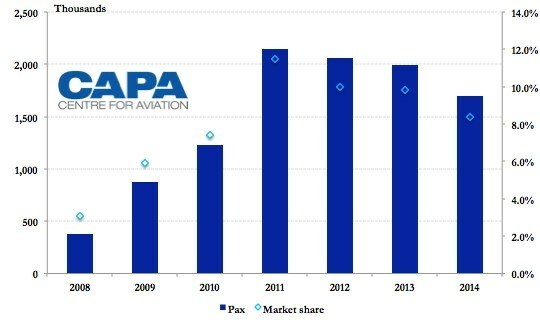 PAA and Zest combined currently operate 11 domestic and 9 international routes, according toOAG data. This includes nine international and eight domestic routes at Zest and three domestic routes at PAA. Cebu Pacific is also planning to start using its A330-300 widebody fleet to operate some of its flights to Hong Kong, Taipei and Tokyo. It currently uses the A330 on one of its daily Singapore flights and plans to add a second widebody frequency on Manila–Singapore, which is already its largest international route. 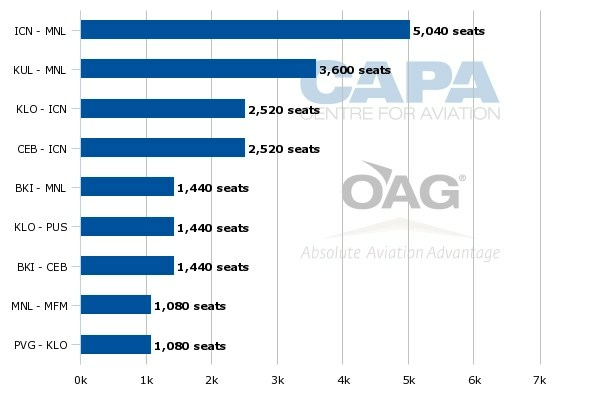 As CAPA has previously outlined, the capacity/frequency limit only applies to Sydney, Melbourne, Brisbane and Perth. All other Australian airports, including Melbourne alternative airport Avalon, can be served by Filipino carriers without counting towards the cap. But Cebu Pacific is only interested – at least at this point – in serving Melbourne Airport, which also has been lobbying Australian authorities to forge a new air services agreement with the Philippines. The usually liberal Australian authorities have been in turn pushing Philippines officials to allow Australia beyond rights, for use by Australian airlines. 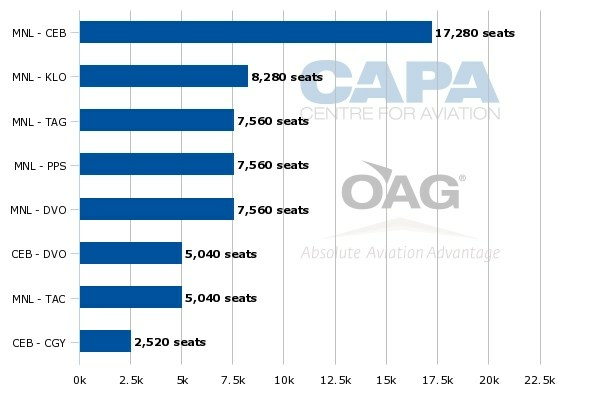 Assuming the current level of capacity from PAL and Qantas, total one-way weekly seat capacity in the Philippines-Australia market would increase to about 10,700, which represents nearly a 60% increase over current levels and about a doubling of capacity compared to Aug-2014 (prior to Cebu’s initial entrance). 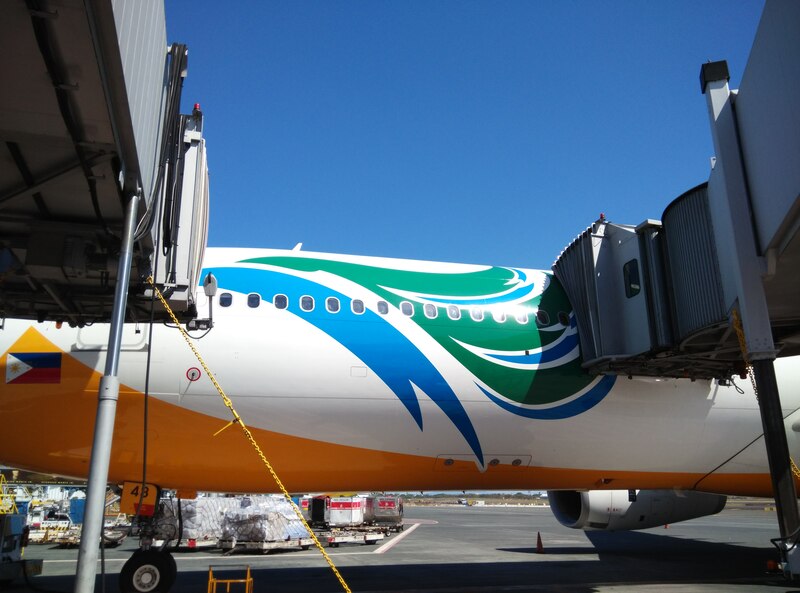 Cebu Pacific would capture a 57% share of capacity under such a scenario – but that assumes no competitive response by PAL, which could increase to capacity to Melbourne as it did when Cebu Pacific started to Sydney. For now Cebu Pacific is wisely taking a wait-and-see approach while in the meantime seeking additional traffic rights and working to improve its performance in the Australia and Middle East markets. Now is not the time to rush into acquiring additional widebody aircraft. Meanwhile, the outcome of the Apr-2015 bilateral talks with Australia will be an important factor in that planning.